​Experience rewards you've earned and deserve. » ​ENROLL ​NOW AND GET STARTED ​TODAY! ​You’ll eliminate overwhelming patients and watching them walk out your door never to return from poorly structured and overly complex treatment presentations. Hello I’m Dr. Paul Homoly. I remember my first private practice. I was young and recently discharged from the United States Navy. Practicing with the Navy right out of dental school gave me confidence and experience. I built a new office, hired my team, and every direction was up! Right after I opened I was given some great advice from a local orthodontist. He told me, “Take some courses on occlusion and complete dentistry.” Well, this orthodontist had a big beautiful office, great looking team members, and drove a new Mercedes. He obviously was more successful than I. So, I borrowed more money, bought plane tickets to the leading dental institutes including The Dawson Academy, The L.D. 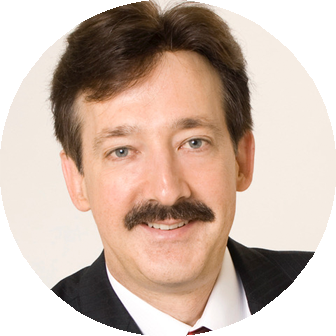 Pankey Institute, and The Misch International Institute of Implant Dentistry. Soon I was sitting with hundreds of dentists in the big conference rooms learning from the world’s best thought leaders in occlusion, restorative dentistry, and implant dentistry. With their guidance my early practice flourished and I felt my teachers’ clinical influence with every patient I treated. I practiced like they taught us; complete exams, study models, face bows, full mouth radiographs…you know the process. I presented complete care to all new patients. And yes, my early success fueled my zeal. Combining the clinical confidence from my time with the United States Navy, my continuing education, and my new office and young eager team, I felt I was ready for private practice. That is, until I presented some bigger cases and watched patients wince. Some got angry, others embarrassed, and many quietly left my practice never to return. It didn’t take long to realize I wasn’t ready for private practice. Years passed. Things got better but not fast enough. Over time I realized I was good with teeth; not good with people. A dentist buddy of mine remarked “Dentistry would be a breeze if it wasn’t for the people.” I laughed, but not for long. I had a young family, lots of debt, and needed to make ends meet. Over the next 10 years I worked on getting good with people. Here’s what I discovered; not all patients were ready for complete dentistry. No amount of patient education was going to change that. Many had young families, or were working two jobs to make ends meet, or simply had no faith that good dentistry could save their teeth. I learned offers of the complete dentistry process didn’t fit for many of my patients; not that it’s a bad process, but one patients had to be ready for. Many weren’t. This realization led me to break from the pack and take a different route to providing complete dentistry. I had a hunch I was over-educating patients and not taking time to understand how complete care needed to fit into their lives. This led me to studying leadership, speaking, influence, and entrepreneurship. I rebuilt my new patient process from what I learned. Now, don’t get me wrong. I didn’t abandon my teachers’ clinical processes for complete dentistry. I combined it with my new patient case acceptance process. 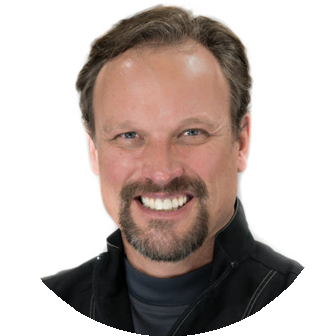 This eliminated losing patients to sticker shock, enabled me to understand the scope of care they were ready for, and helped me create a highly successful regional practice of implant and restorative dentistry I enjoyed for many years. Since my retirement from clinical practice in 1995 due to an eye disability I’ve taught thousands of dentists the case acceptance process that transformed my practice. Over the last 20 years my process has contributed to millions of dollars of collections every month for my clients. 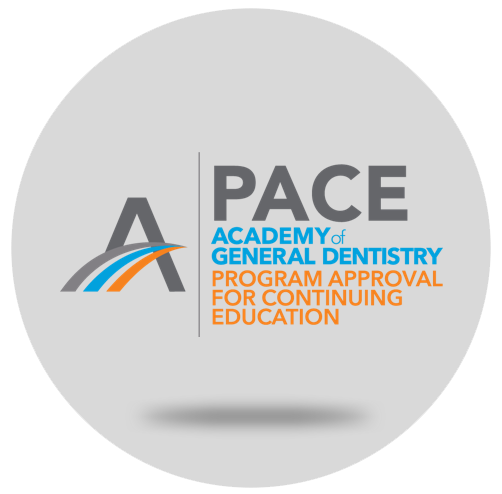 This online program is your starting place for blending your continuing education clinical processes for complete dentistry with some fresh thinking about the case acceptance process; Making It Easy for Patients to Say “YES!”. If you’re ready to provide more complete dentistry this program is for you. If you’ve kept up with your continuing education and are eager to enjoy a return on those investments, this is the logical next step: the perfect way to advance—and enhance—your practice. Its content will surprise you in a good way. It’s not the same old “educate … educate … educate” approach to case acceptance. Nor is it a quick-fix, tips-and-tricks, say-this-don’t-say-that kind of program. It has fresh ideas; hundreds of dentists have been successful with it, and your team and patients will love it. 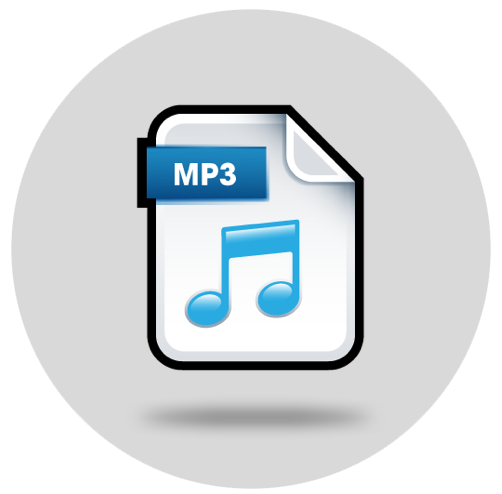 ​You’ll receive video lessons with an accompanying study guide. Lessons are designed for one-hour team meetings. After each meeting, you and your team will put into action what you’ve learned. Every month I’ll host a telephone/video conference call with all enrolled offices. During these calls I’ll debrief each lesson, answer questions and comments, make instructional design changes if needed, and support your progress. Focusing on a few lessons a month ensures that you can fully absorb and experience each lesson’s benefits. You’ll begin to see initial improvement in case acceptance after just a few lessons. By diligently following the monthly progression and putting each lesson’s principles and practices to work as you learn, you can expect to see significant success in less than a year. Be patient with this process. Unlearning old behaviors and learning new ones takes time. You and your staff will grow in stages. Participating with me and with other students in monthly live mentoring conference calls will sustain your learning momentum. You'll get answers to your questions and hear about best practices and successes from others in our Making It Easy for Patient's to Say "YES!" online community. 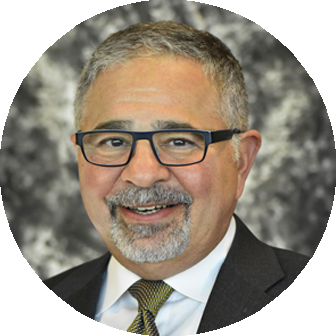 Hello and thanks for taking a moment to read about my experience and commitment to dentistry’s patients, dentists and team members, and profession. I practiced implant and reconstructive dentistry for 20 years. 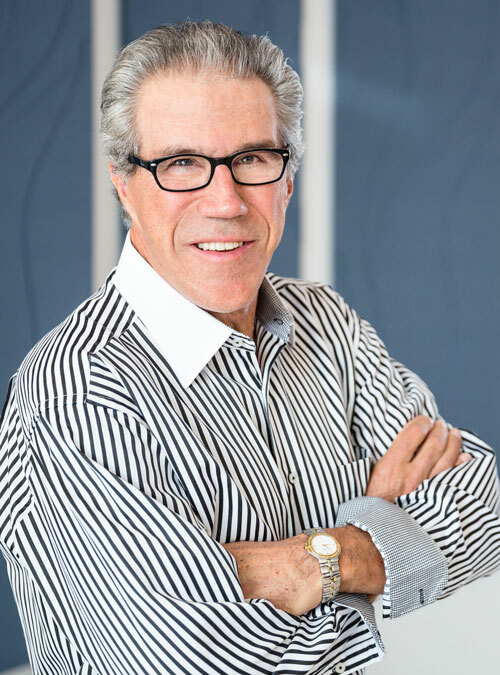 My clinical career spanned an era of massive transformation in dentistry; implant and cosmetic dentistry, dental advertising, digital scanning and chair-side milling, orthodontic aligners, and so much more. What didn’t transform was the human nature of patients wanting to be well cared for. I spent the last 10 years in my practice developing a treatment acceptance process that offered patients experiences that signaled they were being well cared for. This work put my practice gross income in the top 1% of general practitioners. Upon retiring from clinical care due to an eye disability, I put what I know to be true about treatment acceptance into journal articles, seminars, in-office consulting, computer apps, webinars, and have literally been around the world teaching how to make it easy for patients to say “yes” to our treatment recommendations. From meeting thousands of dentists I’ve learned that many clinically gifted dentists were too often not highly rewarded. My mission for the last 20 years has been to change that. I’ve written 3 books on treatment acceptance; Dentists: An Endangered Species, Isn’t It Wonderful When Patients Say “YES”, and Making It Easy for Patients to Say “Yes”. My work spans the entire range of dental practices from mom-and-pop solo general practitioners to all levels of private fee-for-service general and specialty practices. My work with Dental Service Organizations has helped them evolve into world-class dental health care and business entities. An additional aspect of my career is developing experts into interesting and influential communicators. I authored two books on this topic; Just Because You’re Leading…Doesn’t Mean They’ll Follow and Just Because You’re an Expert…Doesn’t Make You Interesting. 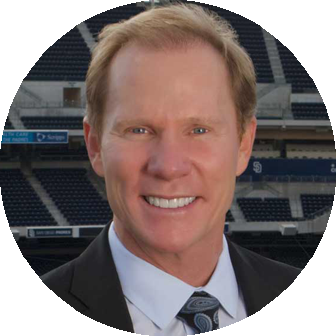 I lead speaker development programs for market leading dental companies including Nobel Biocare, Ormco Orthodontics, Pacific Dental Services, Dentsply Sirona, and many others. I hold the highest earned designation in professional speaking from the National Speakers Association – Certified Speaking Professional (CSP). Fewer than 15% of professional speakers hold this designation and I am the first dentist world-wide to earn it. My newest exciting challenge is to embrace all the opportunities the internet brings to help dentists and teams to do more of the dentistry they love, work with engaged and committed team members, and be abundantly rewarded. When you enroll in the on-line program Making It Easy for Patients to Say “YES” you are partnering with me on my latest journey. Your good dentistry doesn’t guarantee good patient experiences. It’s human nature for patients to want to be well cared for. It’s the experiences they have before, during and after treatment that signal to them the quality of care they’re receiving. Good experiences signal quality care, while poor experiences signal poor care. A big question for you is this; is your quality of your dentistry better than the quality of your patients’ experiences? In this lesson you and your team will discover why high-value patient experiences are as important as clinical outcomes for practices to thrive. You’ll see a bigger picture of practice production—that it’s not just the dollar value of your clinical care, but the accumulation of quality patient experiences. You’ll learn that career prosperity is dependent on distinguishing between standard of care vs. Standard of Caring™. Lesson 2: If your practice were a restaurant, what would you serve? What’s on your menu? Is it what your patients want? In this lesson you’ll use our Complexity Scale™ to distinguish between modest and complex care patients, and how they differ in the way they value their experiences. You’ll discover why some patients place a high value on patient education while others don’t, and what to do about it. In this lesson you’ll learn specific drivers of treatment acceptance based on the complexity of patients’ conditions. We’ll develop a nomenclature that enables you and your team to influence patients in half the time with twice the impact. You’ll stop having to guess about which experiences patients value. You’ll save time, have far less stress, and patients will love you for it. This lesson puts you in the driver’s seat when pursuing the dentistry you most enjoy. I’ll show you a map on how to begin refining your practice. Whether your goal is to practice every day bread-and-butter dentistry or complex care, or both, you’ll see a proven path to follow. In completing this lesson, you’ll be able to assess where your practice is, see where you want it to go, and learn how to make the right adjustments to get there. When you know where you are and clearly see the path ahead, you’ll get there faster. This lesson teaches you how to get out of your own way and start implementing ideas that could have the greatest positive impact on your career. Using our Mind-Set Matrix™, you and your team will discover the four dominant beliefs about treatment acceptance, as well as which ones you own. In this lesson, you learn both the enabling and limiting beliefs that influence patients, and, in turn, how they determine practice growth. This lesson is important because it alerts you that your mindset is the lens through which you will view the remaining lessons in this program. Your mindset will influence you to accept or reject this program’s lessons. The time-honored concept of chief complaint is a woefully inadequate inquiry into patients’ concerns. In its place are The Four Chiefs™— the four critical conversations you must have prior to treatment recommendations. Your study of The Four Chiefs™ will reveal how to immediately connect with patients. You’ll find The Four Chiefs™ are at the heart of making an outstanding first impression and providing patients incredible value. This lesson will be the turning point in distinguishing yourself in your patients’ minds as the dentist they’ve been looking for and eliminating many stressful, time-consuming and frustrating events that can accompany practicing dentistry. Dentists spend a lot of time in “how to”, process-centered conversations explaining to patients how to fix their teeth. You’ll learn in this lesson these process-centered conversations often are not what patients want to experience. 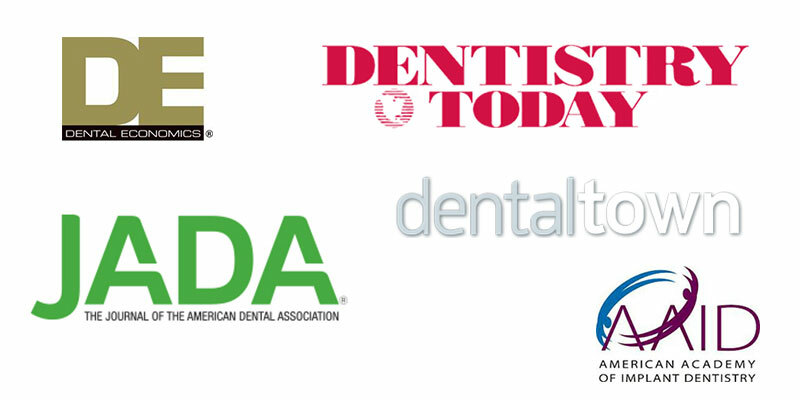 They want benefit-centered conversations that reassure them they’ll feel good about the outcomes of their dentistry. 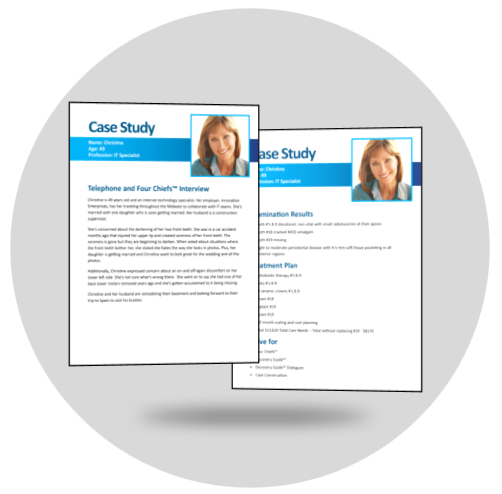 You’ll learn from real-world case studies how to excel at benefit-centered conversations and become patients’ #1 choice when selecting a dental practice. A big part of our role during the new patient process is influencing patients to imagine how much they’ll enjoy their day-to-day life when their dentistry is completed. You’ll be relieved knowing that you don’t need to put patients through a mini dental education. You’ll feel refreshed during patient conversations and out of the rut of explaining the same things day after day. 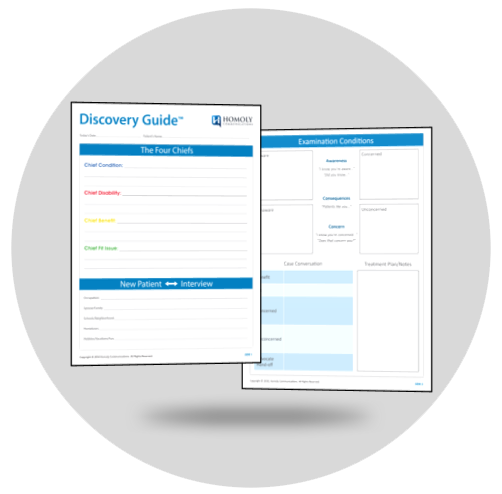 The Discovery Guide™ makes it easy to document and retrieve the information that’s the most important and influential to patients. The Discovery Guide™ gives all dental team members greater confidence when speaking to patients, and gives patients the experience of being understood. You'll be excited to see how this guide makes everyone's job easier and inspires continuous improvement. Wouldn’t it be wonderful if when you’re talking to patients you absolutely knew they were listening? This lesson makes it easy for patients to listen, understand, and be influenced by your post-exam conversations. It’s about The Sequence of Influence™ that guides conversations with patients following their exams. The Sequence of Influence™ will save you an incredible amount of time and help patients be good listeners and feel connected. You’ll discover how to lead patients in the direction of their best interests and in so doing give them a high-value experience. 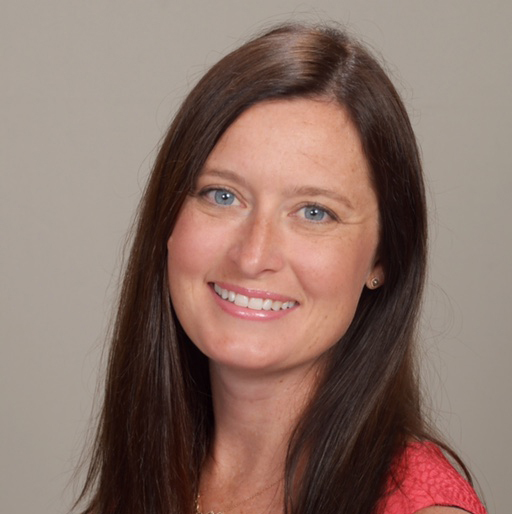 This lesson will open your eyes to what’s possible when patients feel a personal connection to you and your team. Have you ever offered patients their Complete Care, blew them out of the water, watch them leave your practice, and post nasty on-line comments about how you’re in dentistry just for the money? Complete Care is the optimal treatment to restore structure, function, comfort, aesthetics and phonetics. Many dentists are reluctant to offer Complete Care out of fear patients will abandon their practice due to sticker shock. Instead these dentists play it safe by offering treatment plans they believe will be less intimidating and costly to patients. Through these three lessons, you’ll gain the confidence offering Complete Care regardless of the complexity of care or level of fee without blowing anyone out of the water. This is one of the best changes you can make for your patients and your career. Does this happen to you; you’re recommending treatment to a patient and half way through you knew he/she stopped listening and will never accept your care? This lesson on Practice Makes Profit solves this. In this lesson, you practice case conversations so they’re shorter and stronger when offering Complete Care. You’ll use a tool called the Case Conversation Organizer™. The Case Conversation replaces the concept of case presentation. It’s more influential for patients to engage in a conversation rather than passively listening to a “presentation”. This lesson will give you skill and poise when offering Complete Care to your patients. You’ll be twice as influential in half the time relative to traditional case presentations. You’ll enjoy this simple yet effective approach when helping patients make good dental health decisions. This lesson is about the art of quoting fees that protects and sustains good relationships between you and your patients. A significant source of stress for dentists and team members is experiencing patients’ shock, anger, embarrassment, and rejection over fees. This is especially true for complex care patients where fee levels can easily get above $10,000. This lesson will teach you a 4 step stress-free process for quoting fees that are designed to avoid negative patient reactions over fees, watching them walk out your door, and never return. This process is adaptable to every conversation your team members have with patients about fees. Lesson 15: Who gets more upset about fees, patients or you? Many dentists and team members have money mind-sets—financial comfort zones—that work against influencing patients and creating positive experiences. A common mind-set among dental teams is believing patients can’t afford fees for Complete Care. This mind-set is often based on dentists’ and team members’ own financial situations. If they can’t afford the care they’re recommending, they tend to believe their patients can’t afford it either. The mortal sin of offering Complete Care is imposing your own financial limitations on patients. 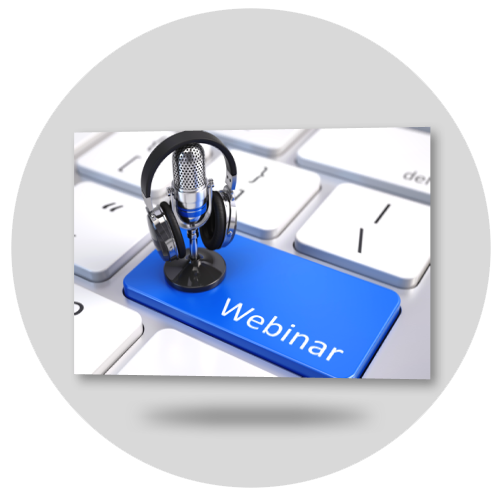 This lesson will enable you and your team to confidently quote complete care fees without discomfort or hesitation. This lesson increases the financial comfort zone in your practice and enables you to be compensated at levels you’ve earned and deserve. One of the most perplexing questions in dentistry is: What do you do with patients who’ve been well educated to their dental needs but are not yet ready for treatment? Do you educate them more? Do you have them sign a noncompliance form? Do they fall through the cracks and leave your practice? This lesson answers this question by teaching you our process called Building Stacks™. You’ll learn that patients often need time to find the opportunity, money, and courage to take on complex care. Building Stacks™ keeps patients in your practice during this time so that when they become ready, they’ll choose you. Of all the lessons in this program this is the one my students tell me is most enlightening and liberating. Expect to feel relieved, expect patients to remain with you during their readiness periods. Most importantly, expect your practice will thrive when you don’t make patients’ immediate case acceptance a condition of a good continuing relationship. 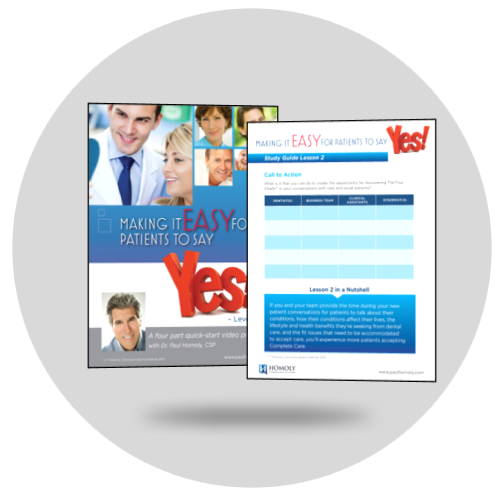 ​Your purchase of Making It Easy for Patients to Say "Yes" gives you lifetime access to the course. Pay either a single payment or three equal monthly payments. Either way you have a 30 day grace period where if for any reason you find this program is not right for you, I'll refund your tuition. Easy in... or easy out. There's no risk. 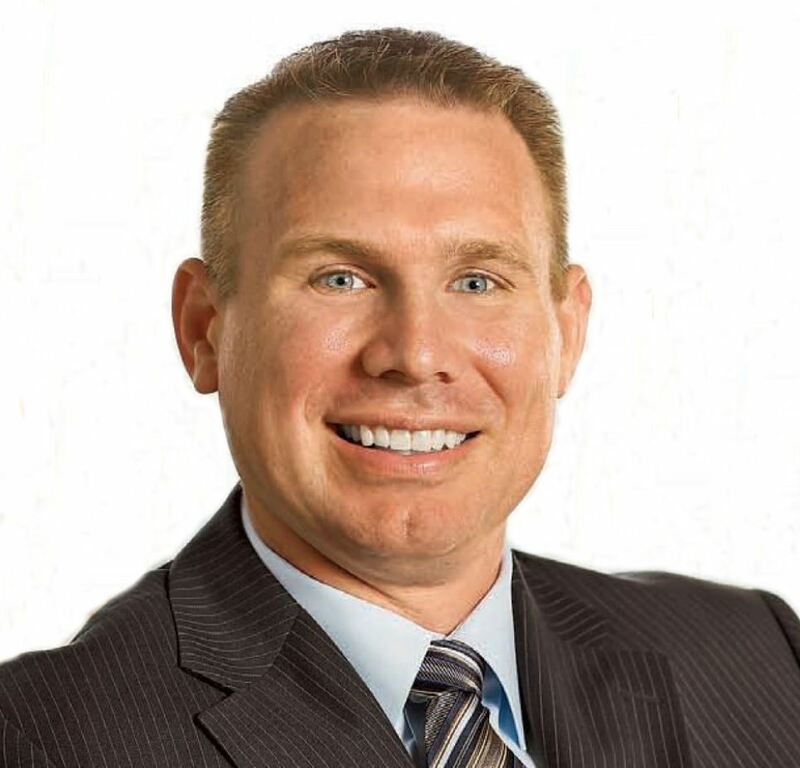 ​“​Many dentists spend thousands of dollars and countless hours on continuing education in hopes to find something relevant to bring back to their practices. 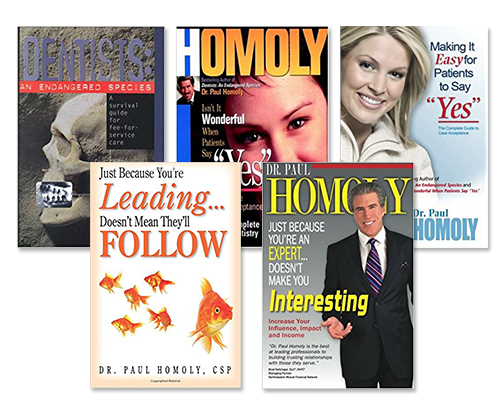 I can say without hesitation, Dr. Homoly's case acceptance approach had the largest impact on my dental office of all the classes I have taken to date. I firmly believe that all dentist whether you are a new graduate, associate dentist, owner dentist or seasoned dentist can benefit from adopting Dr. Homoly's concepts into their practice. Dr. Homoly taught me how to emotionally connect with patients. Once I learned this skill patients wanted to start more of their recommended dentistry. This led to an increase in hygiene production, daily production and patient retention. Most importantly, patients left the office happier and healthier. A direct result from these successes was that my own personal stress decreased. I made more money but also found that I had more time and energy leaving the office than I had ever had in the past. This made for a happier life at home with my family. Do not hesitate to take time to learn from Dr. Homoly! He is a master at patient connection and case acceptance!" ​Is Making It Easy for Patients to Say "YES" right for you? ​Who is Making It Easy for Patients to Say “YES” On-line designed for? 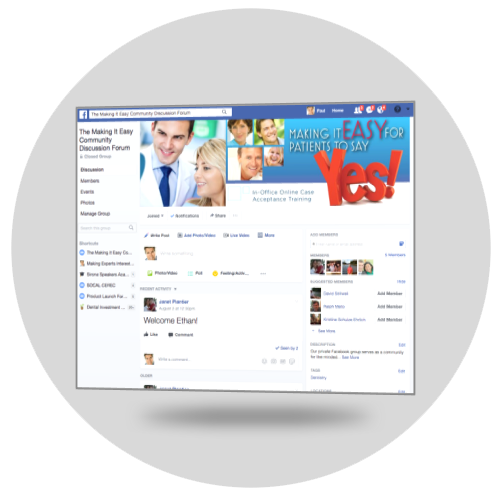 ​What is the basis of the credibility of Making It Easy for Patients to Say “YES” On-line? ​The concepts, tools, and processes taught in Making It Easy for Patients to Say “YES” have been successfully implemented in hundreds of practices nationwide over the last 20 years. ​What does my enrollment in Making It Easy for Patients to Say “YES!” include? • Special surprise bonuses out of the goodness of Dr. Homoly's heart! ​What Outcomes Can I Expect? ​Here’s what you can expect after successfully implementing this program into your dental practice. ​How do I know this will work for me? ​​The processes taught in Making It Easy for Patients to Say “YES” have been successful in hundreds of practices for over 20 years. The critical factor in whether it’s successful for you will be your ability and willingness to lead your team through the transition from how you’re offering care now to how this program teaches it. ​How much will Dr. Paul Homoly interact with us? ​​​Following each video lesson is a discussion page for you to enter questions, comments, and ideas. Here you and other enrollees can share your thoughts. There’s also a private Facebook group for your exclusive participation. I’ll participate in both discussion forums when I see a way for me to contribute more to your success. 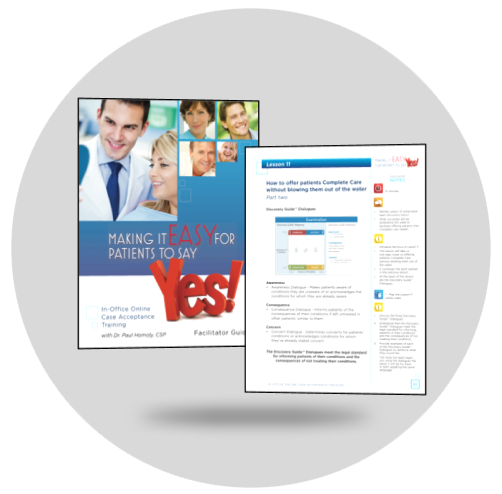 Your purchase of Making It Easy for Patients to Say "Yes" gives you lifetime access to the course! ​What if I am unhappy with the course? We would never want you to be unhappy! If you are unsatisfied with your purchase, contact us at janet@paulhomoly.com in the first 30 days of your enrollment and we will give you a full refund. ​How are the lessons distributed? You’ll receive video lessons with an accompanying study guide. Each lesson is designed for one-hour monthly team meetings. After each meeting, you and your team will put into action what you’ve learned. ​How do I teach Making It Easy for Patients to Say “YES” On-line to my team? ​​​​​​You’ll receive a Leaders’ Guide to this program that will take you step-by-step through the teaching/leading process. ​​How often do you recommend our staff train with Making It Easy for Patients to Say “YES” On-line. ​Our recommendation is to train for one hour twice to three times a month. ​Do the courses include a quiz or exam? ​​Yes. In each lesson there are opportunities to judge the understanding of the content through discussions and quizzes. ​How do I buy Making It Easy for Patients to Say “YES” On-line? There are two ways to enroll in this membership program; 3 equal monthly payments or a single payment. ​If applicable how do I use my coupon code? ​You will see a section on the checkout page that will allow you to enter a discount code. ​Are there any additional or hidden fees? ​Do I need high-speed internet access? ​What are the technical requirements for using Making It Easy for Patients to Say “YES” On-line? ​What other courses can we expect to see from Dr. Homoly? ​Are there additional resources available to help support Making It Easy for Patients to Say “YES” On-line? 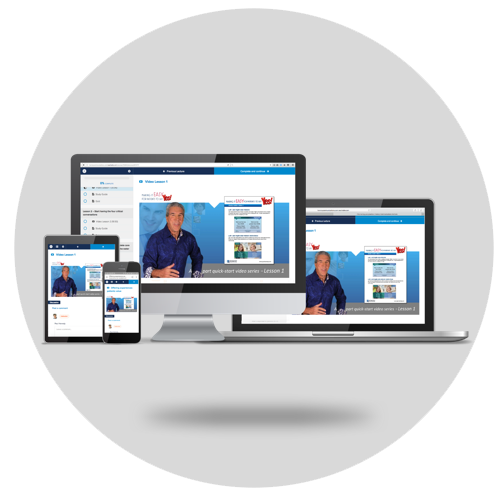 ​Yes…included with this program are a private Facebook Community for enrollees and monthly live webinars with Dr. Homoly, Additionally live workshops and MasterMind sessions will be available to those who have completed the on-line program. ​I signed up, where should I start? ​Start at the top of the course curriculum menu, and be reading the leader’s guide and downloading the leaders’ and participant guides along with all other deliverables. ​How do I change my password? ​Does Dr. Homoly offer in-office training or consulting? ​What if we have questions or need help during training? ​What if I am having trouble accessing the site or its videos and need technical support? ​Can I share my on-line access with others who have not enrolled? ​No. Here are some good reasons not to do it. • To share your on access code would be unethical…in other words…stealing! • We have an administrative dashboard that alerts us to student activity and unauthorized use can be detected. If detected then membership is forfeited with no refund. Don't ​Be Left Behind: ​Enroll ​in Making It Easy for Patient's to Say "Yes" - 2.0 Today! © 201​8 Homoly Communications Institute. All rights Reserved.